Oppo R11 was officially launched on June 9 at a flashy event, which we attended. Just three days later the phone has already reached 500,000 registrations on JD.com. 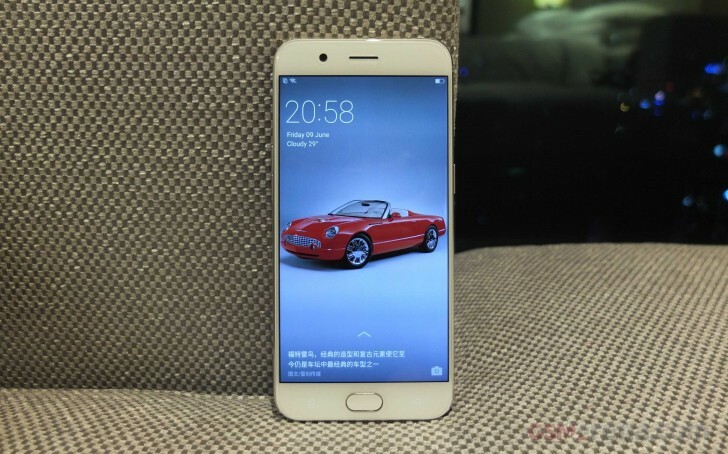 The listing on the Chinese retailer’s web site is for the 4GB RAM + 64 GB version of the Oppo R11. You can pick one of three colors (Rose Gold, Black or Champagne Gold) and have to wait until 10 AM on June 16 to actually be able to buy it, as the first flash sale is starting then. The price is CNY2,999 or $441. There is also a version of the Oppo R11 in Red listed by the retailer with black front panel and black antenna bands that can also be bought for the price of CNY3,199 or $470. Oppo didn't say anything about that at the launch event, but it might be some sort of exclusive for the retailer. OPPO, OnePlus are the best at knocking off Apple. Try Chinese oppo and asus because of specs but in a year I have used three of them I could have bought 1 flagship. So for me ill go with Sony,HTC. My Sony w8,z2 last till today but in my greed of specs I overlooked Sony. Forget copy design, its super cool. Launch it in India. We are facing dated competition.